Brian was born in New Mexico and at age seven his dad, who was in the Army, was transferred to France and then Germany. When his father retired from the Army, the family returned to his parent’s home state of North Carolina. After a few years in Winston-Salem, his parents moved to Alexandria, Virginia where Brian attended and graduated from high school. Brian then attended and graduated from the University of Virginia in 1973. He then went on to attend the University of South Carolina School of Law and graduated in 1976. Brian was admitted to the bar that same year and immediately began his legal career practicing with a small trial practice law firm. Early in his career, Brian handled divorce cases, automobile accidents, criminal matters and general civil litigation. This mixture of handling many different types of cases has been a real asset for Brian and his clients, as it brings a tremendous amount of legal experience to the table and courtroom. 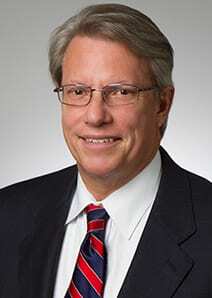 Brian began his own practice in 1976 and has handled thousands of cases across a wide range of topics. Brian brings decades of experience, energy, and passion to the cases he handles. He has been successful at winning cases against banks, mortgage companies, credit card companies, and collection agencies for unlawful activities. He had handled thousands of real estate closings and understands the intricacies of the required documents at a closing. He knows the difference between a “good faith estimate” and a “truth-in-lending” disclosure. All of this experience is important in getting to the meat of the legal matter. As a member of the National Association of Consumer Advocates, Brian is passionate about empowering his clients with knowledge about legal issues and consumer protection laws, and how they affect our daily lives. Since 2002, Brian has focused on consumer issues such as foreclosures, predatory lending, debt collection harassment, credit card issues, and identify theft. Brian is a certified Circuit Court Mediator and is available for mediations. In his spare time, Brian likes to stay active and participates in a number of sports activities ranging from offshore fishing, tennis, boxing, and bocce ball. Brian has also written one novel, Southern Fate, and is currently working on his second novel, Champagne Friday. He also hosts a radio program on WVOC (560 AM) entitled “Talk Legal” and has been doing so since 1997. The show airs at 9:00 every Sunday morning for an hour. Guests include some of South Carolina’s and the region’s finest attorneys. Brian also likes to interview other authors, artists, and entertaining guests. The radio program focuses on educating the public about law-related topics. Calls are taken on the program. If Brian doesn’t know the answer (he doesn’t know everything about law (: , he will try to find a person who can help. Brian is a member of the South Carolina Bar, the South Carolina Association for Justice, and the National Association of Consumer Advocates. As a member of the South Carolina Association for Justice, he was appointed as a member of the Board of Governors as the chairman of the Real Estate Section. From there, he served as the first member of the Board of Governors to head the committee for Consumer Law. He served in those capacities for seven years. Brian is also a member of the American Board of Trial Advocates. That association promotes, among other things, saving and preserving Trial By Jury. You can see more about this organization by visiting www.SaveourJuries.org. Brian has tried many cases to a conclusion by a jury and is dedicated to preserving this right for all Americans in the future.